- Special 5% Online Discount ! 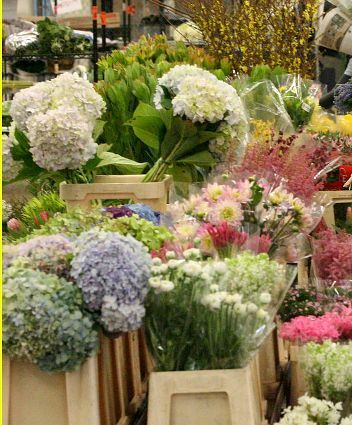 Operating from a flower studio rather than a florists shop means your flowers are not on display or handled by other customers before you buy them. In fact, your flowers will only be handled once, by our florists, before being included in your bouquet or funeral tribute. This also enables us to offer great value for money hence free delivery and 5% online discount. With flowers delivered everyday, you get the freshest possible blooms. Blossom Florists is a caring local, family florist providing free flower delivery in many parts of Essex. So if you are looking for a florist Chelmsford, Braintree, Billericay, Brentwood, Colchester and Witham and surrounding towns and villages, then contact one of our florist team. We formed the florists because we have an inner desire to delight and wanted to combine this with our creative passion for beautiful flowers. As a local florists, we deliver direct from our own flower studio and pride ourselves on the quality of our flowers and strive to deliver the freshest possible blooms! You can receive a special 5% discount when you order online at our florists online shop!!! Along with flowers you can also add chocolates, balloons and teddies with your order to make an even more special gift. Bespoke Weddings- funerals- functions- anniversary- roses- Birthdays- with love- new baby- thanks- get well soon-cheer up-Mother's Day-Valentines-Christmas and all occasions. Call us on 01376 519814 or order online for a 5% discount!